Medicine is by nature a collaborative profession with an embedded ethos of helping and mentoring colleagues and students as they advance through training. While our careers and philosophy of medicine are shaped by interactions with hundreds and thousands of other practitioners, we may not be able to recognize and thank those who have had the most profound impact upon us. We have reviewed the lectures and lecturers that have had the most views, streams, and downloads over the prior academic year and found which lecturers resonated with you the most and we are proud to announce our first group of Distinguished Faculty Educators! 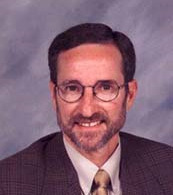 Dr. Lederer is an Associate Professor of Medicine at the University of Louisville. She is the Chief of the Division of Nephrology, the Program Director for the Nephrology and Kidney Disease Fellowship, and is active in leadership in the American Society of Nephrology. Dr. Aronoff served for many years at the University of Louisville as an Assistant Professor of Medicine in the Department of Nephrology and Pharmacology, Medical Director of the University of Louisville Dialysis Unit and as the Nephrology Fellowship Program Director. He is currently the Assistant Chief Medical Officer at Renal Ventures Management in Colorado. Dr. Bryan Moffett is on faculty at the University of Louisville as an Assistant Professor of Internal Medicine. He practices at the VA Hospital and is known for his ability to simplify and organize complex pathology when teaching. Dr. Julie Harting is a clinical pharmacist at University of Louisville and an Assistant Professor of Pharmacy at Sullivan University. She serves on the Infectious Disease Bone and Joint team. Her areas of interest are antimicrobial stewardship and bone and joint infections. Dr. Lorrel Brown is an Assistant Professor at the University of Louisville and is the Associate Director of the Cardiovascular Medicine fellowship. Her medical training was completed at Johns Hopkins University. She recently won the Clinical Faculty Teaching Award from the residents for her tremendous contributions both on the cardiology service and in the lecture hall. Her areas of interest in cardiac critical care, post-graduate medical education, and in-hospital cardiac arrest. 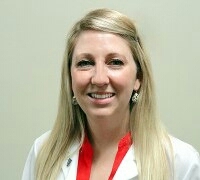 Dr. Caster is an Assistant Professor with the University of Louisville in the division of Nephrology. Her clinical interest is in glomerulonephritis and lupus nephritis. 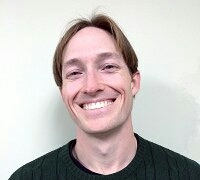 Dr. El-Kersh is currently an Assistant Professor of Medicine at the University of Louisville. He completed his Pulmonary and Critical Care fellowship at Louisville in 2014 and is very active in education and research. His clinical interests include interstitial lung disease, critical care ultrasound, and enteral nutrition as stress ulcer prophylaxis in critically ill patients. Dr. Farmer is on faculty with University of Louisville as a General and Colorectal Surgeon. His areas of interest are inflammatory bowel diseases and colorectal cancers.